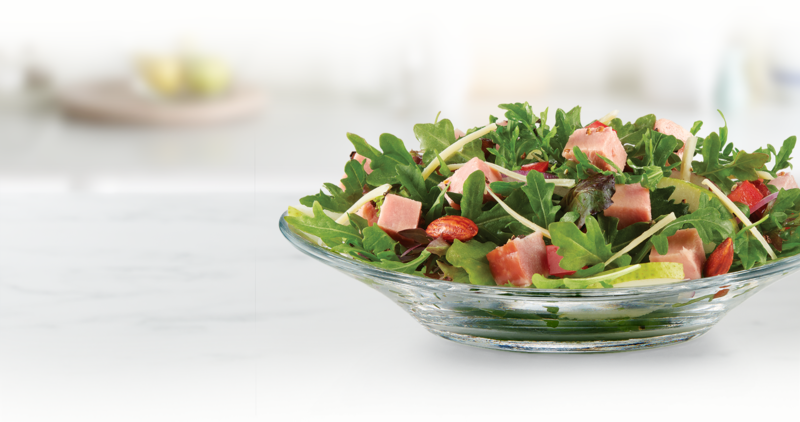 In a mixing bowl, add the arugula, spring mix, pear, diced tomato and red onion. Drizzle 2 tablespoons of salad dressing around the bowl. Then toss the greens until they are evenly covered with dressing. 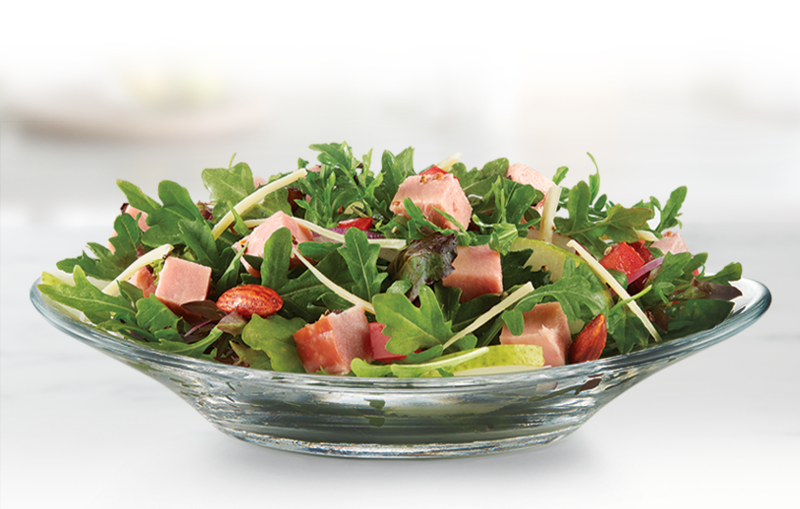 Mound the greens mix in the center of your plate and top with the cheese, almonds and ham. Grind some fresh pepper on and serve.